Ground Control Deluxe MKII and the Wooly Mammoths. 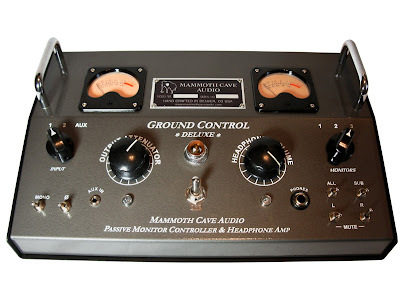 I've been searching for a good passive monitor controller for my mobile studio setup and came across the Mammoth Cave Audio website. Their controllers look very solidly built, have great features and are reasonably priced. 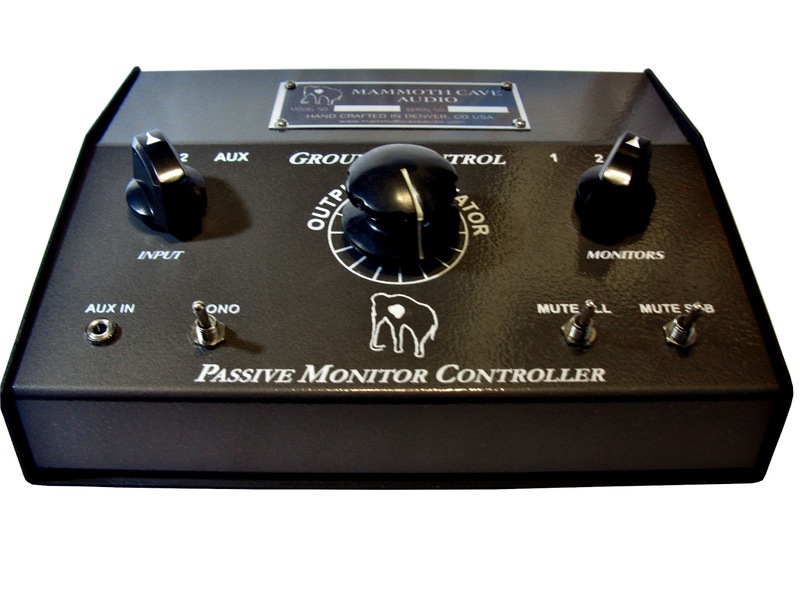 As stated on the site the Ground Control Series have a "Fully passive monitoring path with no active components to color your sound." 3 pairs of stereo inputs (2 rear, 1 front), 3 monitor pair outs, parallel/sub output. high quality stepped volume attenuator with precision 1% resistors for finest quality clean stepped gain control. Alps rotary selectors for source switching. 3rd input is an “aux/client in”, which is a front/top access 1/8″ stereo input for every time a client wants us to hear something from their phone or laptop. I added this because I swear these days, clients always are saying “we are going for something like this…” and then they pull up some file on their phone. A braided white 1/8″ aux cable is included. 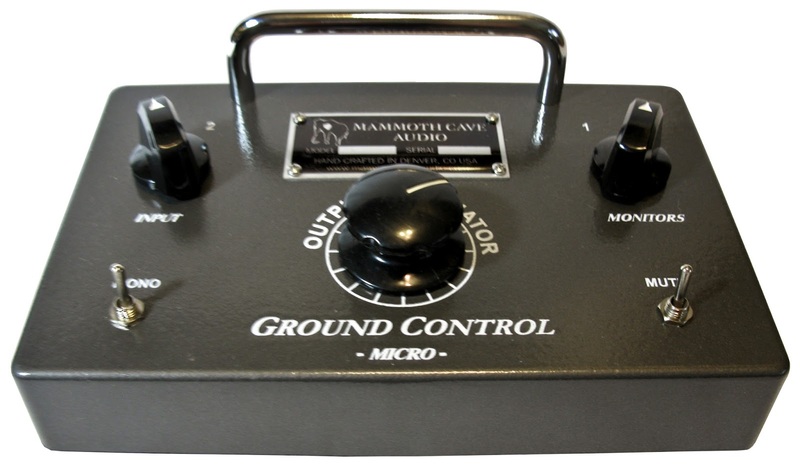 All rear inputs and outputs are 1/4″ TRS and generally can be seamlessly used with any combo of balanced and unbalanced gear (units use balanced TRS input, unbalance internally and re-balance on the outputs for easy configuring with all types of source and monitor combos without introducing any added ground noise). Headphone amp (my take on a simplistic minimal signal path design that the hi-fi crowd raves about). 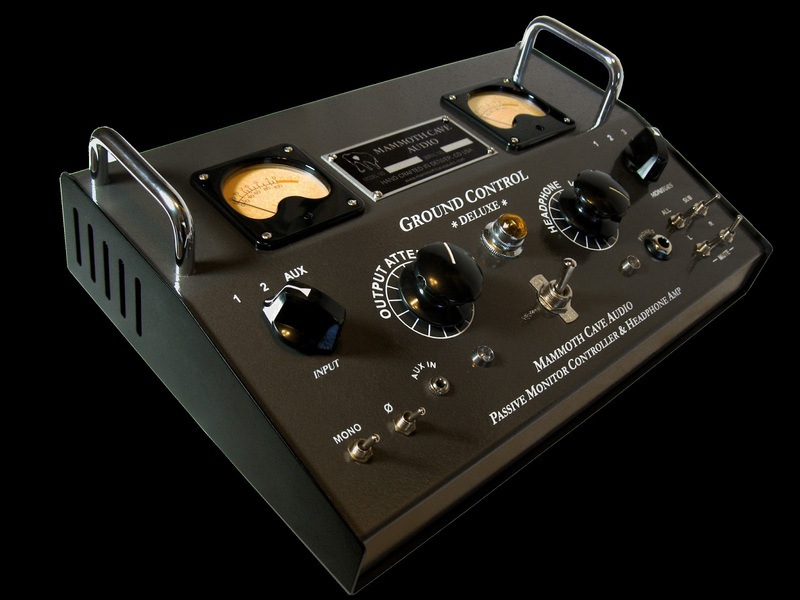 While it’s not designed to be a ridiculously loud amp, it is designed to be clean and accurate. 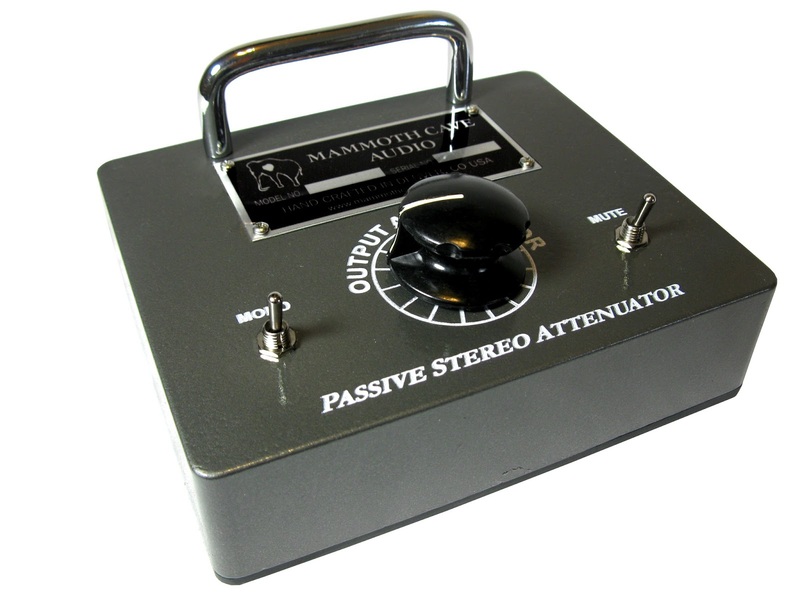 There are also standard versions which are the "same as the Deluxe, but eliminates the headphone amp, meters, phase switch, and individual L/R mutes (still has mute all, separate mute for sub/aux out) and features stepped attenuator, 3 in, 3 out, sub out, and mono switching. Available in 1U rack-mount or console versions." 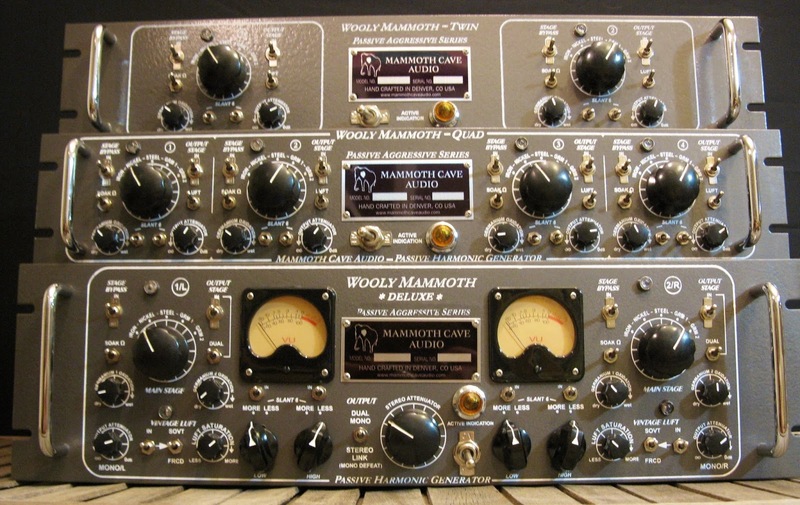 "Designed to deliver some of the subtle nuances of colorful transformer based pre’s, consoles and other gear, as well as some soft clipping and saturation reminiscent of tubes, tape and other classic analog circuits getting hit hard. Diversity from subtle to all out mayhem. Deluxe version adds some additional features and filtering options. Features the big beautiful legendary Carnhill transformers found in the classic Neve designs, as well as custom nickel wound transformers from Cinemag, steel from Edcor, and our NOS dual core transformers. Various Germanium diodes sought out for their harmonic richness and soft clipping characteristics. Some being NOS military grade sourced from Germany and Russia. Fairchild rectifiers and shottky diodes. Alps rotary channel selectors, and on the deluxe, a switchable high grade stereo stepped attenuator with premium 1% resistors. It’s made to be subtle and add just the right amount of sparkle to overly digital recordings, but can also get pretty wooly on the germanium settings." Sounds interesting and I would love to hear them in action. Will see if I can arrange a demo and do a more in-depth post in the near future. Visit Mammoth Cave Audio for more info.